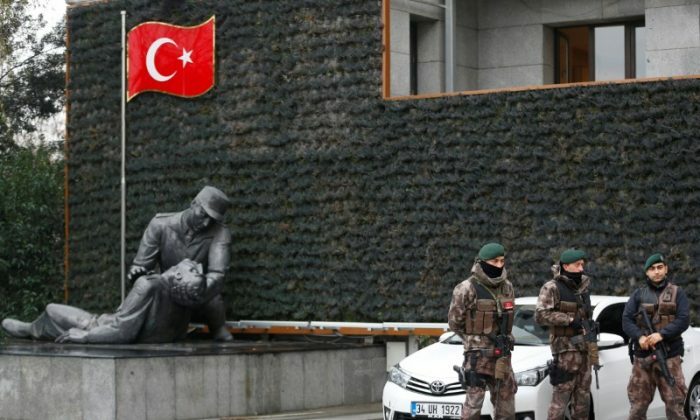 ISTANBUL—Turkish police detained 61 people over suspected links to Islamic State in anti-terror operations in two cities, the state-run Anadolu Agency said on Sunday. Counter-terrorism police raided houses in Bursa, a northwestern province of Turkey, and detained 39 people including 28 Syrian nationals and two Azerbaijani nationals, Anadolu said. Eight of the detained suspects were minors, it said. Early in the morning, police also detained 22 people in the northeastern province of Erzurum as part of an investigation into terrorist organizations. The detained included suspected senior members of the organization, Anadolu said. Police confiscated several weapons, ammunition and documents during the operations at several addresses, Anadolu said.